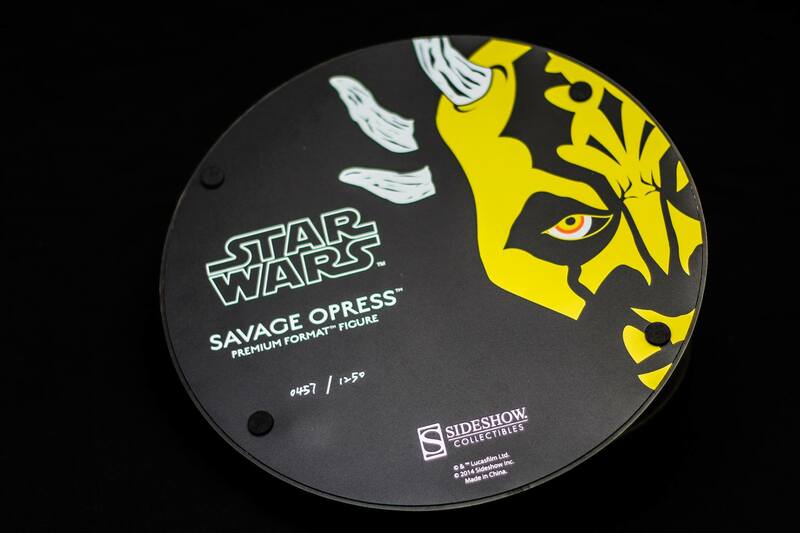 Hello ladies and gents, here is my review on the “Savage Opress Premium Format Figure” by Sideshow Collectibles. 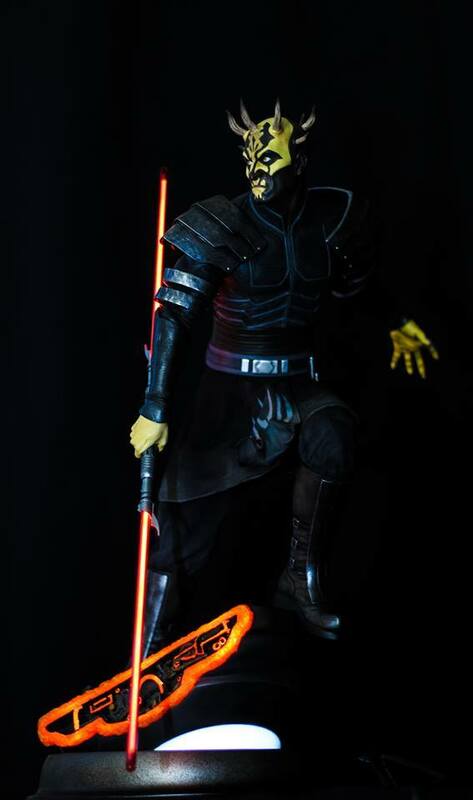 Savage Opress was an honorable warrior and created by Mother Talzin for Asajj Ventress and trained by Count Dooku as his secret apprentice. 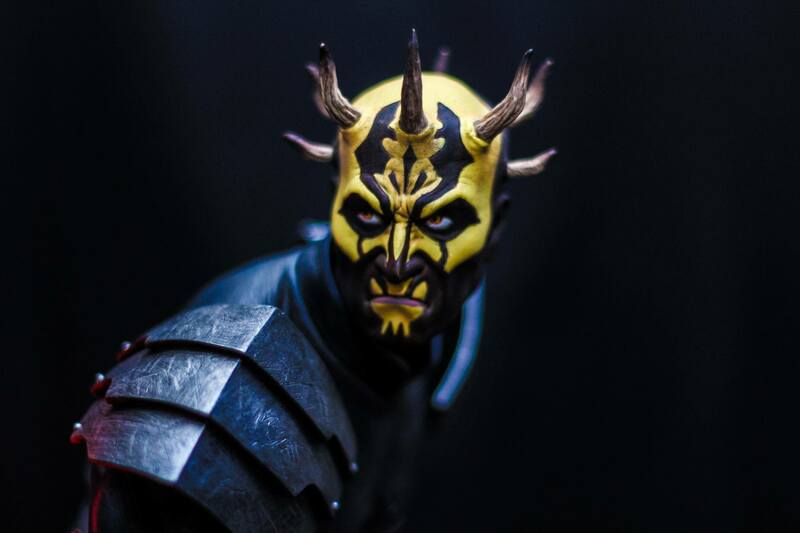 Grasping the details from his appearance in Star Wars: The Clone Wars, Sideshow Collectibles truly did a phenomenal job. 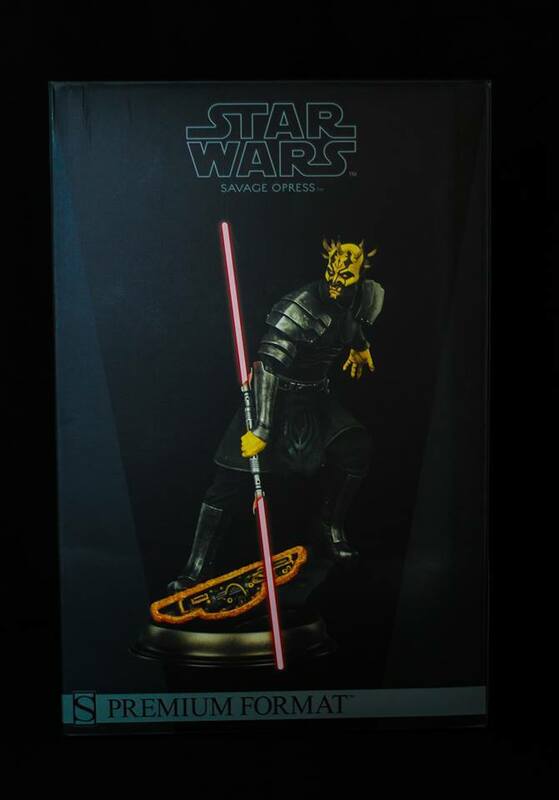 You have the amazing Design and Development Team who had worked on this premium format figure, you got Walter O’Neal (Design), David Igo (Design), Joe Jung (Sculpt), Pascual Wawoe (Sculpt), Mireya Romo-Bowen (Paint), and Gidget Earle (Costume). 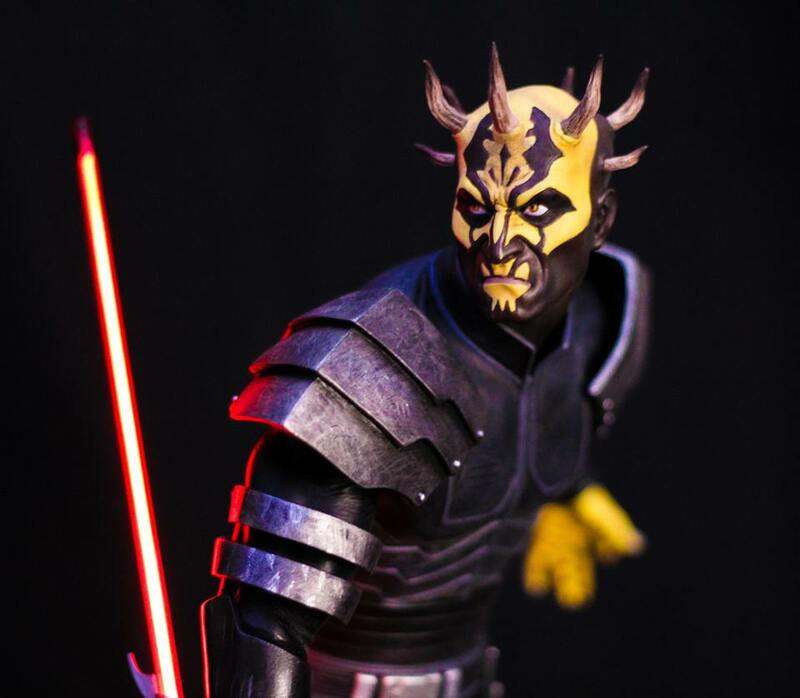 When Star Wars: The Clone Wars season 3 came out, Dave Filoni and the team had introduced a new villain called, “Savage Opress”. 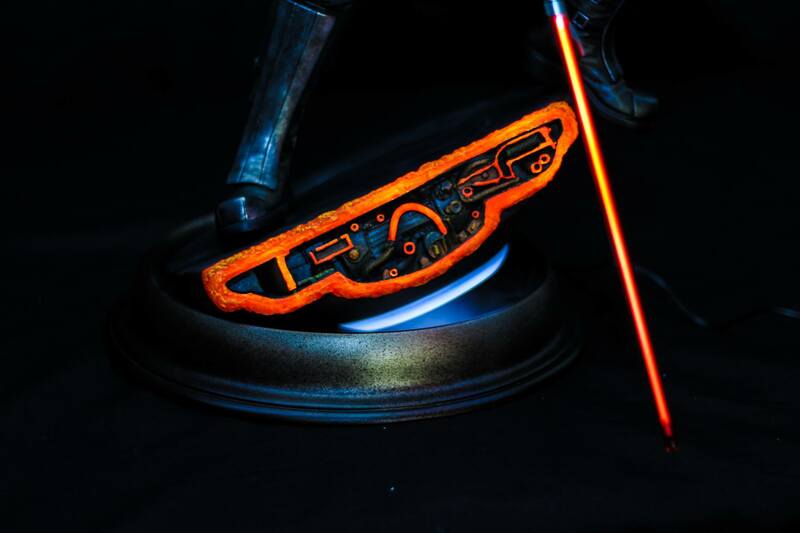 Sideshow Development team really Crafted such a detailed figure in the quarter scale. 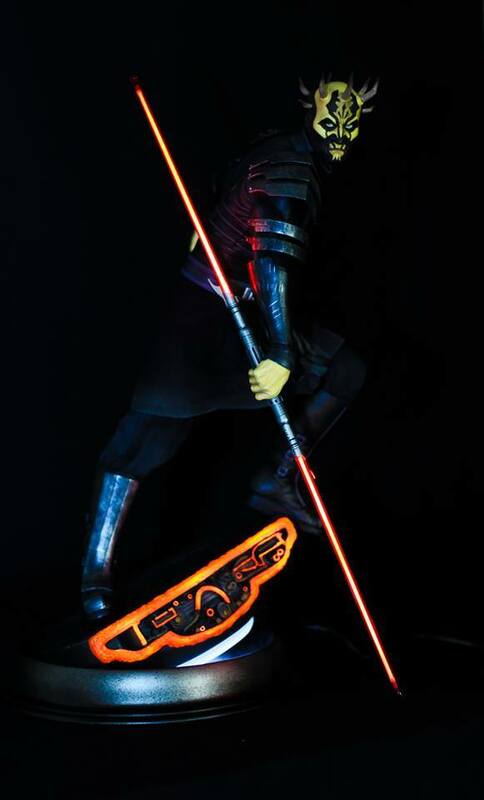 He stands about 22 inches tall holding his double-bladed lightsaber with a glowing light-up base.